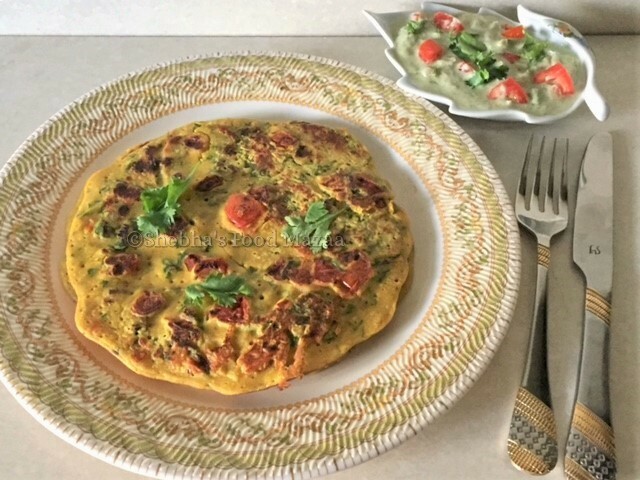 Cheela is a quick breakfast option and a vegetarian alternative for an omelette. It can be prepared with any flour either plain or with the addition of some vegetables of your liking. This month in our group "Shhhhhhh Cooking Secretly" the theme is "Breakfast" and I am paired with Avin S Kohli. She gave me two ingredients - Spinach and Tomatoes. 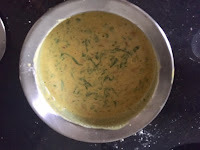 I have made besan ka cheela adding these to the batter. 1. 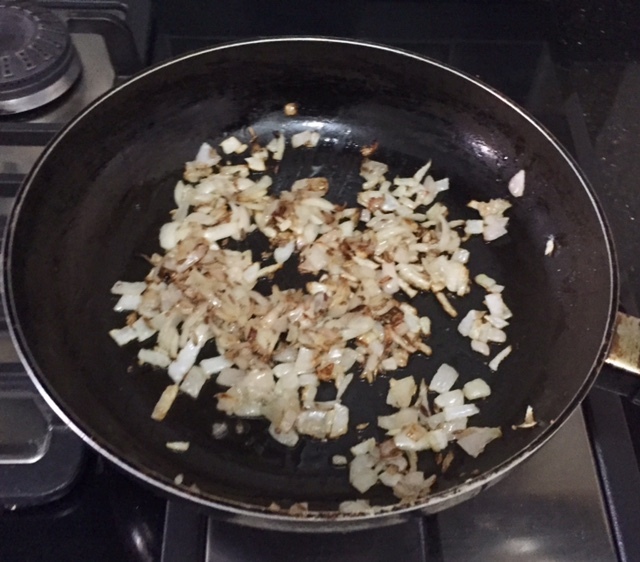 Heat oil in a pan and add the cumin seeds. Tip in the onion and sate for a minute until translucent. 2. Now add the spinach, tomato, green chillies and coriander. Simmer for half a minute. Let it cool. 3. In a large bowl take the gram flour, whole wheat flour. Mix the sauteed onion, and the rest of the ingredients mentioned in the list except oil. 4. To make cheelas, pour a spoonful of batter on a griddle, spread it and fry spooning a little oil or ghee on both sides until done. 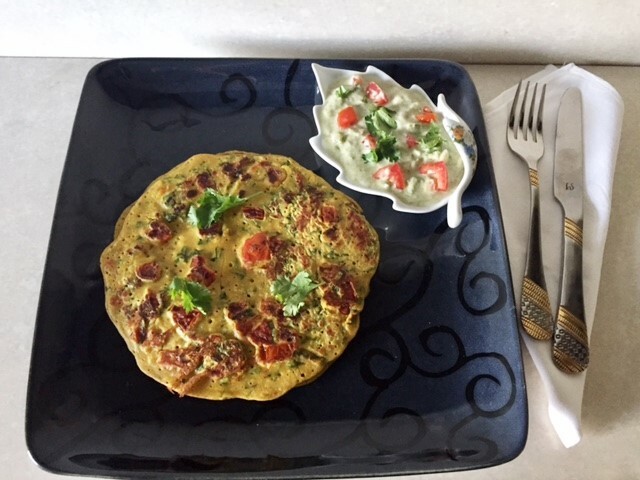 Serve with chutney/ pickle / raita. Note: For better results prepare the batter at least one hour ahead so that the flavours blend together. Delicious and healthy too ! 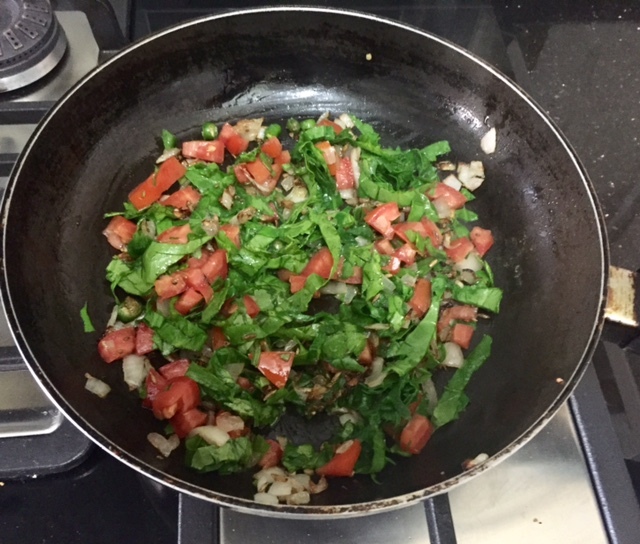 I like the idea of cooking the ingredients before adding them to the gram flour. Also you cook them in ghee so they must taste really nice.